Robhots have been making a splash in the Colorado Cannabis Edible Market recently. 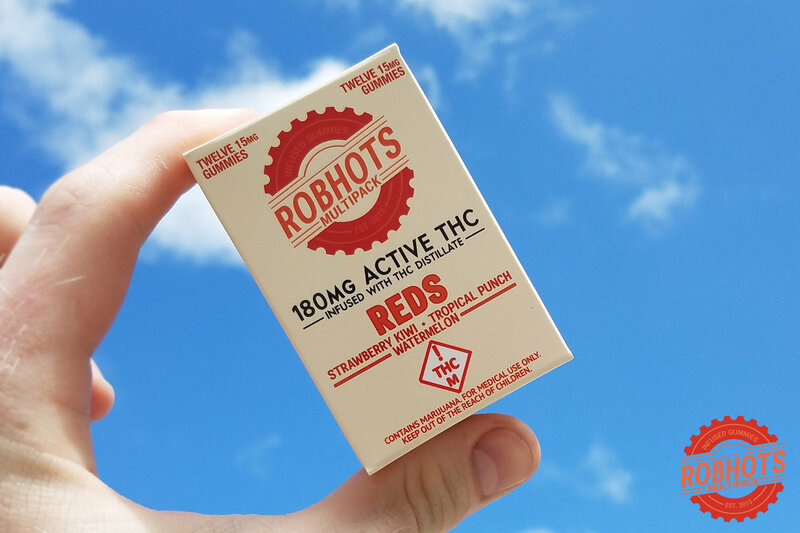 Robhots offers both Medical and Recreational products ranging from 100mg THC packages to 500mg THC packages. Let’s explore their products, flavors, and what makes them one of the best cannabis gummy companies on the Colorado market. Robhots released 5 different flavors packs in Colorado in January 2018. Each packet contains 10 (10mg) cannabis infused gummies. Since their products are infused with FLO distillate, you are guaranteed to have a well balanced gummy every time. You can also find the Robhots Multipacks on the Medical side! The Medical packages are available in 180mg packages. Each package contains 12 (15mg) infused gummies. Along with the Berries, Citrus, Fruits, Reds, and Tropical flavor packages, you can find seasonal flavors such as Apple Pie. Only available on the Medical side, the 500mg Multipacks pack a major punch. Each package contains 10 (50mg) distillate infused gummies. Being 50mgs each, these gummies are for experienced users only. Since these gummies are infused with cannabis distillate, you will not find a “Cannabis or Hashy” taste. This means you get the amazing flavors will enjoying the massive 50mg dose of THC. 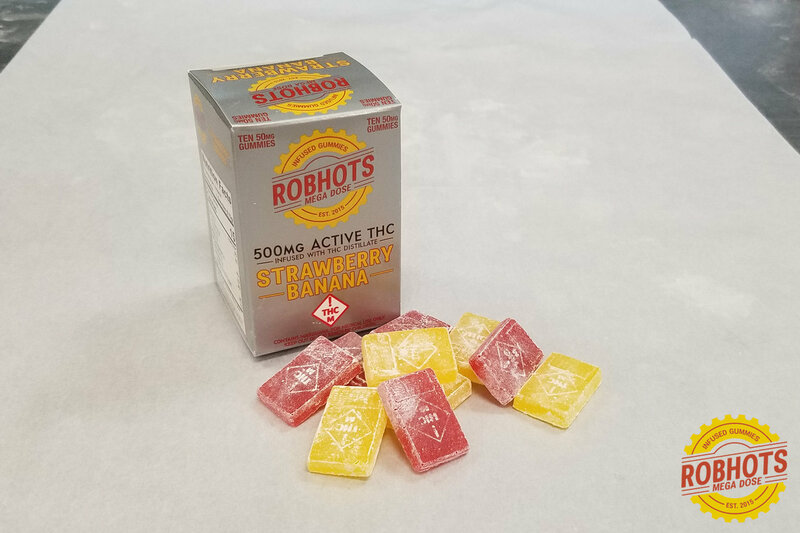 Check our store menus to see if we have Robhots or other cannabis gummies in stock.